The hydrogen-powered-vehicle industry is still a nascent field that has yet to show real signs of going mainstream. Yet, major automakers are exploring the technology because it gives vehicles shorter re-fill times and longer ranges than plug-in electric vehicles. General Motors and Honda, for example, are investing $US85 million as part of a joint venture to mass produce hydrogen fuel cells in 2020. Honda’s hydrogen car, the Honda Clarity, has the longest range of any zero-emission vehicle at 366 miles. Toyota also leases its hydrogen car, the Toyota Mirai, in California. But without the necessary infrastructure to support the vehicles, they stand little chance of being used outside of California. 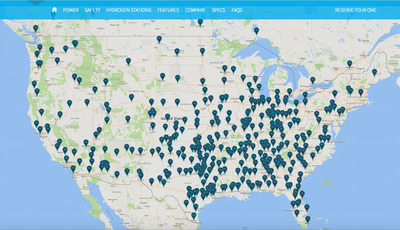 For reference, there are 15,510 electric charging stations in the United States, and only 33 hydrogen stations in the entire US, according to the US Department of Energy. Startup Nikola Motor Company, which unveiled its hydrogen-electric truck in December, plans to change that. 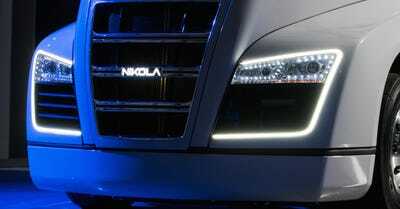 Nikola plans to build over 300 hydrogen stations so that its trucks can travel across the country. 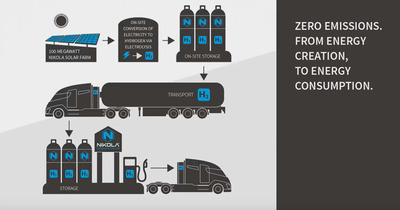 Nikola plans to build over 300 hydrogen stations so that its trucks can travel across the country. We spoke with the startup’s founder and CEO Trevor Milton and he shared more details about how his company’s plans to build out these stations, while also disrupting the trucking industry. 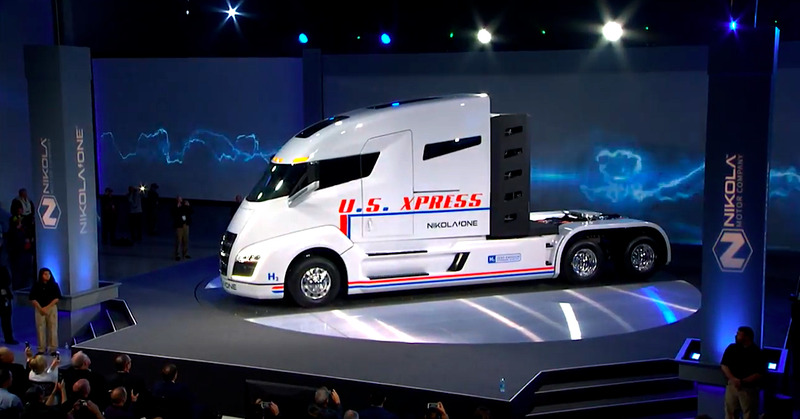 Behold, the Nikola One hydrogen-powered truck. 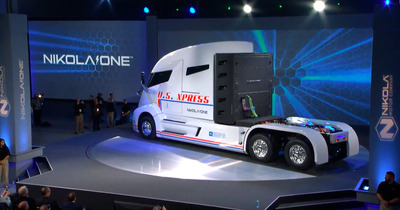 Milton told Business Insider the truck can drive 800 miles on average with a single tank of hydrogen. For reference, that's a much longer range than other zero-emissions, heavy duty vehicles. 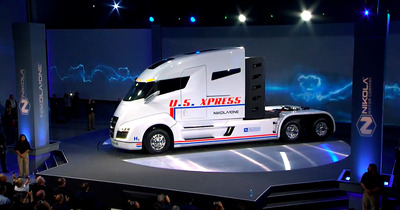 In the trucking space, we can really only compare the Nikola One to Mercedes' all-electric truck, which only has a range of 124 miles. Startup Proterra is making strides with its electric bus that has a range of 350 miles. That's an impressive range for a bus that can fit 77 people, but still falls short of Nikola One. 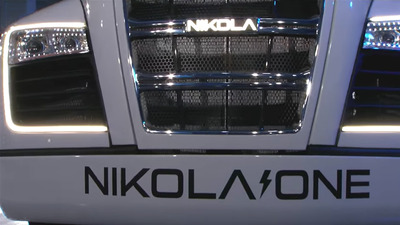 The Nikola One will be powered by a stack of hydrogen fuel cells, as well as a 320 kWh battery, to achieve its range. The startup said it will have over 1,000 hp and 2,000 ft.-lb. of torque. The startup plans to have 12 trucks driving on public roads in 18 months for testing. The trucks will officially come to market in 2020, Milton said. Nikola Motor Company said the truck will have a refuelling time of just 15 minutes, edging out plug-in EVs that take at least an hour to charge when using a fast-charging network. With a typical outlet, a plug-in EV can take many hours to recharge. 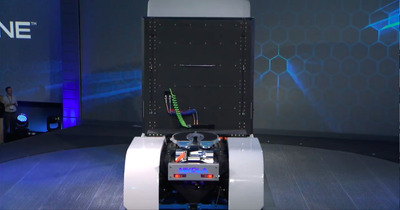 But the key factor that will determine Nikola Motor's success will be its ability to set up a hydrogen station infrastructure to support the trucks once they are out on the road. Above is a map of the 364 hydrogen stations the startup plans to build beginning in 2018, with completion slated for late 2019. Here's where things get tricky. Building a hydrogen station from scratch is expensive compared to setting up electric charging stations on the pre-existing electric grid. Milton said each station will cost over $10 million. In December, Nikola said it would produce the hydrogen at a not-yet determined location and transport it to different stations. But in a recent interview with Business Insider, Milton said each station will now make the hydrogen onsite, which means solar panels and an electrolysis plant will need to be installed at each station. Milton said a single station will cost $US10 million to build, not factoring in the costs of the solar panels and electrolysis plant. That seems prohibitively expensive, but Milton said 'the way that we set it up, it pays for itself.' Milton said Nikola will sell retail rights to investors in each city. Nikola is still in the process of buying land and has not yet sold retail rights. Milton said Nikola Motor has already completed a $12 million seed round with a $300 million valuation, but declined to disclose the investors. Milton said Nikola is in the midst of a $100 million series A round with Deloitte that will conclude in April. The startup began taking reservations in December and said at the time it received $4 billion-worth in reservations for the truck. But that number factors in the cost of each lease over 7 years. Those who have reserved the truck have only paid a deposit of $1,500 that Milton said amounts to several million in the bank. Milton told Business Insider in August that it had 8,000 reservations for the truck, but declined to provide a new reservation number. 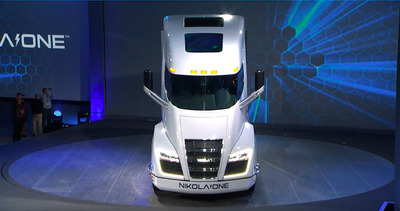 Nikola is offering a leasing program for its trucks. 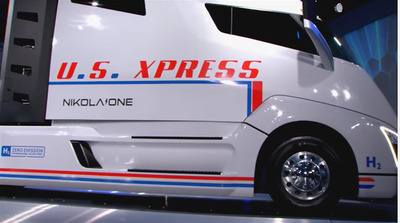 Drivers can get a Nikola One for $5,000 to $7,000 a month, depending on the type of truck they want, for 72 months or a million miles. The hydrogen fuel is covered by the lease. Nikola will need a lot of cash to get its hydrogen station infrastructure up and running. 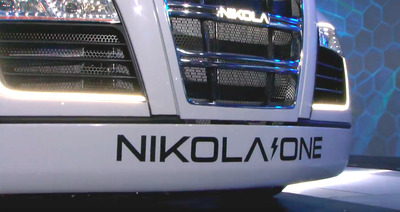 Although questions still remain on that front, Nikola has made quite a bit of progress on the truck itself. Nikola Motor Company chose Ryder System, a truck rental and fleet management supply chain, as its exclusive distribution and maintenance partner. Ryder has 800 service locations in North America. 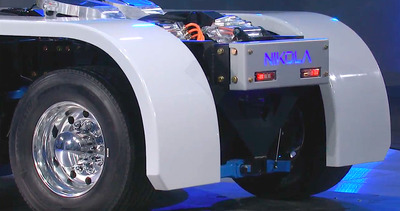 Nikola has partnered with truck manufacturing company Fitzgerald to produce the first 5,000 trucks. 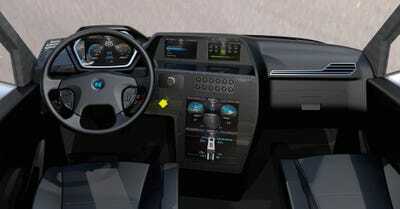 The rest will be produced by Nikola Motor Company's manufacturing facility, which will produce 50,000 vehicles a year. The location of the facility will be chosen at some point this year. Whether Nikola's hydrogen truck can become a reality will depend entirely on its ability to set up the hydrogen stations, which is no easy feat. For now, we'll have to see if they can get the capital to pull its grand vision off.